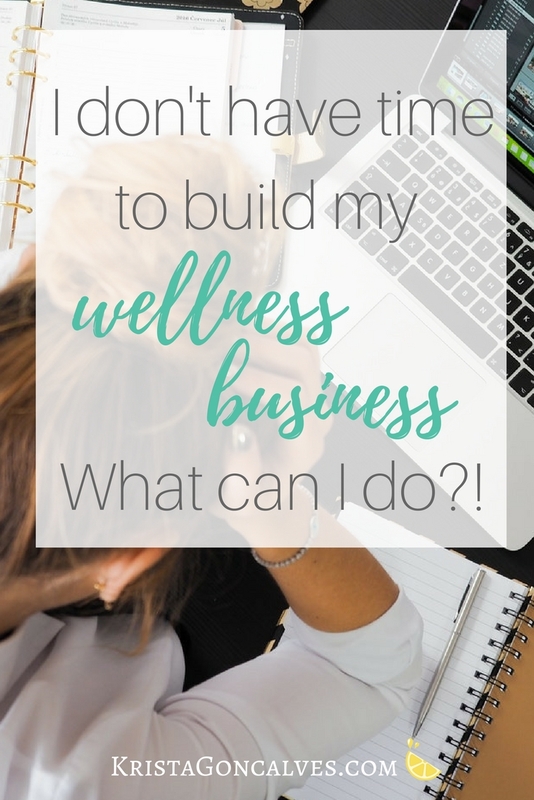 How to build your wellness business when you have no time! Whether you’re working full time at building your wellness business or it’s currently only your “side hustle”, one truth remains constant: it’s a shitload of time, energy, and resources to do it. This is coming from someone who’s been running their own business for over 10 years! Yep, I’ve built 3 separate businesses in the last decade, and only the current one has been 100% online – which has been eye-opening, to say the least! That said, I thought I would take the opportunity to answer a question that comes up daily in my own world, but also in so many of yours – the health coaches, nutrition professionals, fitness trainers, naturopaths and other wellness entrepreneurs that I’m so lucky to get to connect with and work with on a regular basis. “Anyone else working full time, trying to keep fit, studying, coaching, running a home – basically ALL THE THINGS – all while trying to grow their business? I’m going to tackle this one head-on (been there, done that) by offering you some actionable tips so you can continue building the business of your dreams, make the kind of impact that you want, but not get burnt out in the process. The key to building your online wellness business – without the burnout, is to be highly focused, use priority lists and trade off a number of things you may not want to. You’ve got to take into consideration the length of time certain necessary business tasks will take, then create a budget – of your time! Writing blog posts and other content creation like social media posts (4-8 hours/week) — and yes, you do need a blog for your business! And the list goes on and is different for each person’s unique business model. Once you’ve completed your business time budget sheet, put each in priority order – and now you’ve got a list ranking your business’s tasks from “most essential” to the ones you have less interest in or less expertise or knowledge in. In other words, the ones that you find painfully boring or tedious to do, so you never end up doing them! These are the tasks that you should delegate or outsource to a professional. That’s why it’s important to allocate some of your business’s financial budget to other services such as web design, graphic design, accounting and copywriting (*wink, wink*). As health professionals, we don’t often find ourselves having the ability to take off our healer hats in order to moonlight as designers or to suddenly develop mad technical skills! Have you been considering using VA Services? Check out Wellpreneur VA! TIP #2: If you’re still working another job – you may have to start cutting back your hours. Could you cut out the overtime? Job sharing, drop to part-time, one less project per month? Attend less work social functions, i.e. less beers after work? 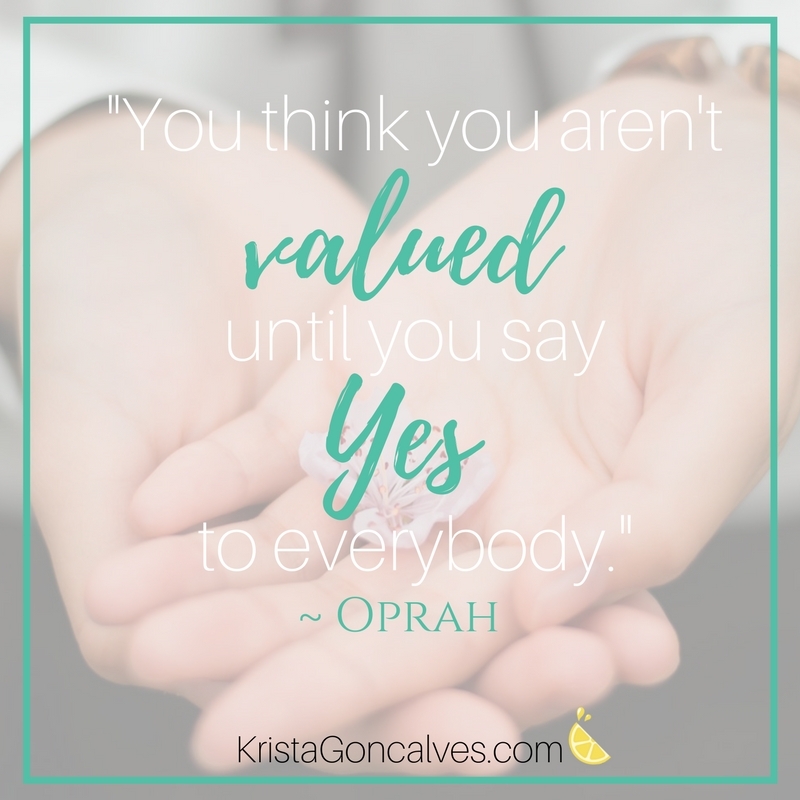 Consider saying NO more often than YES. Don’t be consumed by the disease to please! TIP #3: Weekends may have to be dedicated, even partly, to working on your business. Yes, this may cut into some family time, hobby time or other recreation time, but ask yourself: what does your business mean to you? Is it really your endgame…your everything? True story: I made a No-plan B Commitment about 3 years ago after enrolling in the Wellness Business Academy. This meant that I was going to follow-through on my latest business idea or nothing. There simply was no other choice because it truly meant that much to me. Did I get wildly supported and applauded by family and friends for my decision? Nope. Because there was a lack of understanding of what I was actually trying to accomplish and it wasn’t a “real job” in many people’s eyes. Was it the best decision that I ever made? You bet! I’m 100% my own boss, work is always on my own terms, and I work from home so I’m always home when my kids get off the school bus. And most importantly…I feel deeply satisfied and rewarded by the work that I do and the results that I help my clients accomplish in their own businesses. TIP #4: TV, Netflix and other mindless activities (e.g. social channel surfing, playing games on your phone)…yep, you know what I’m going to say. Rather than binge-watching yet another series, put in those extra hours working on your biz. You read, you learn, you sign up for webinars, you make lists, you make more lists…all of that may seem like you’re getting somewhere in your business, but it’s really just “busy work” and not lead-generating work. You may be thinking you’re being busy working at your business, but in actuality, you’re not spending your time on the right things that are going to ultimately bring in income. I’m talking about getting qualified LEADS…which is the fundamental requirement for any business to grow. So, don’t just be “busy”, be productive, efficient and make money while you’re at it! It all comes down to TAKING ACTION and implementing all of your fabulous ideas – ones that move that business needle forward. That means stop fiddling with the colors and fonts on your website and engage in the activities – the MMA’s, that get you the leads. TIP #6: Collaborate with other industry professionals who have a similar audience to you, but who may be in a slightly different niche or who focuses on a different aspect of the same field as you. Do not make the mistake the I did for years…fearing that I would be stepping on someone else’s toes, or that someone was going to steal my ideas! –> Why not host a webinar together to promote one or both of your programs with each of you receiving the benefit of tapping into one another’s email lists, as well as growing those lists respectively? –> Another idea is to be an affiliate for someone else’s program or service and they could be an affiliate for your stuff. If you’re offering different products, but ones that would benefit your respective audiences, then it’s win-win. TIP #7: Finding a mentor or Business Coach to work with may be the key to keeping you focused, on track and being as productive as possible within the limited time that you’ve got. Accountability is never a bad thing! There are plenty of different productivity apps out there that use a similar “schedule hacking” method. There you have it Coaches… 8 actionable tips to carve out more time (way more time!) in your week to dedicate to building your biz. Need even more time-savers for your online business? Grab the mega list of 100+ business tools & resources for wellness entrepreneurs!